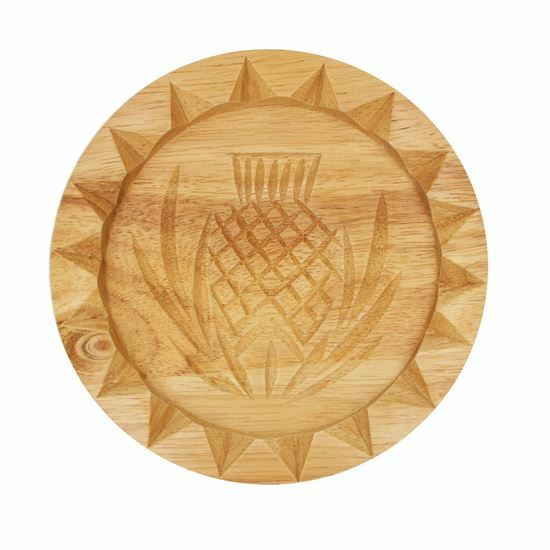 Traditional wooden round shortbread mould with edging detail and thistle pattern in centre of mould. The perfect baking accessory for creating delicious butter shortbread. Available in small and large sizes.